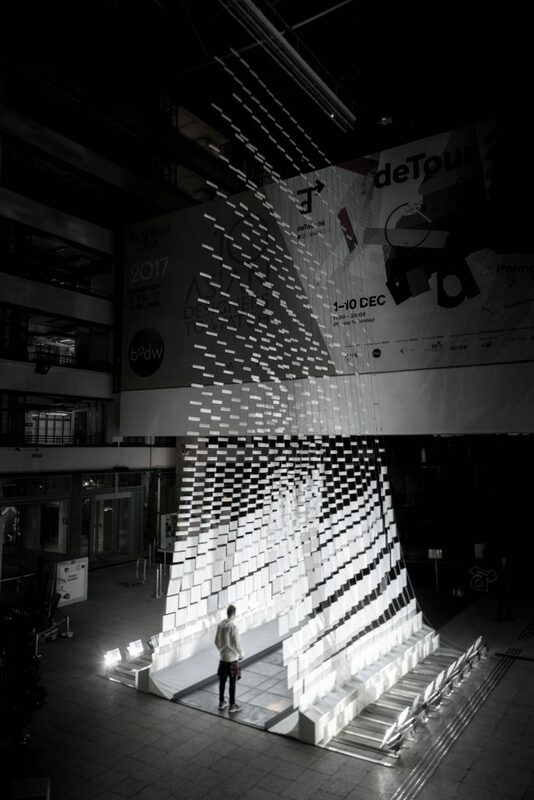 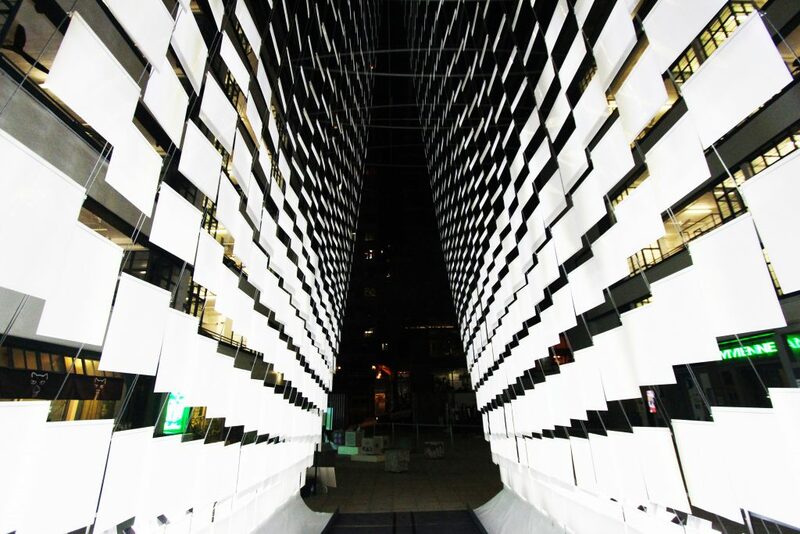 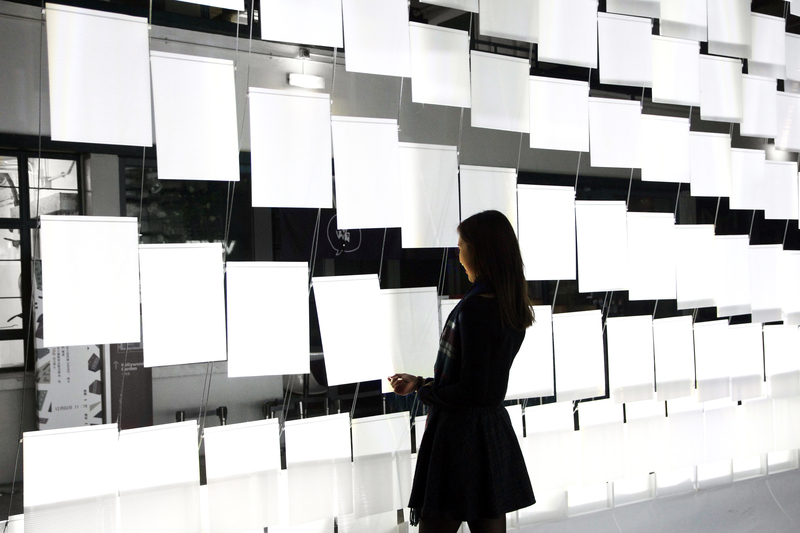 The interactive Hanging Wall, 合, was positioned in the center courtyard of PMQ for deTour 2017. 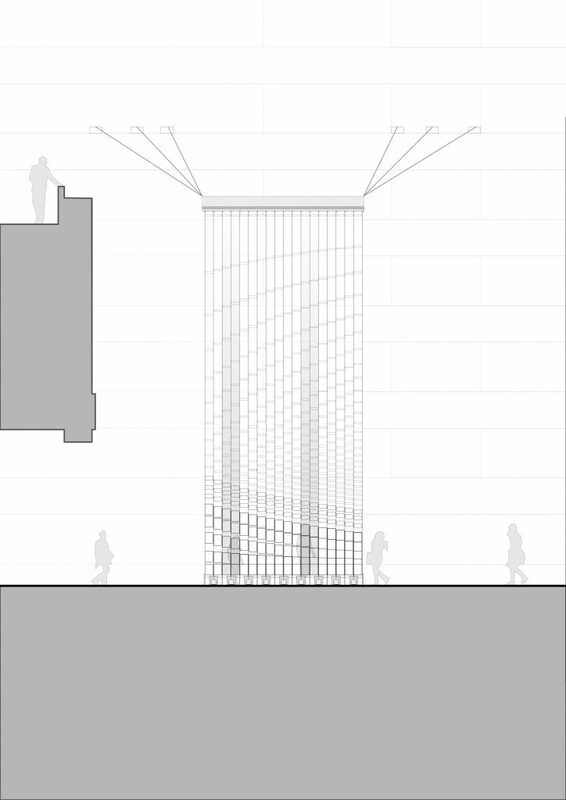 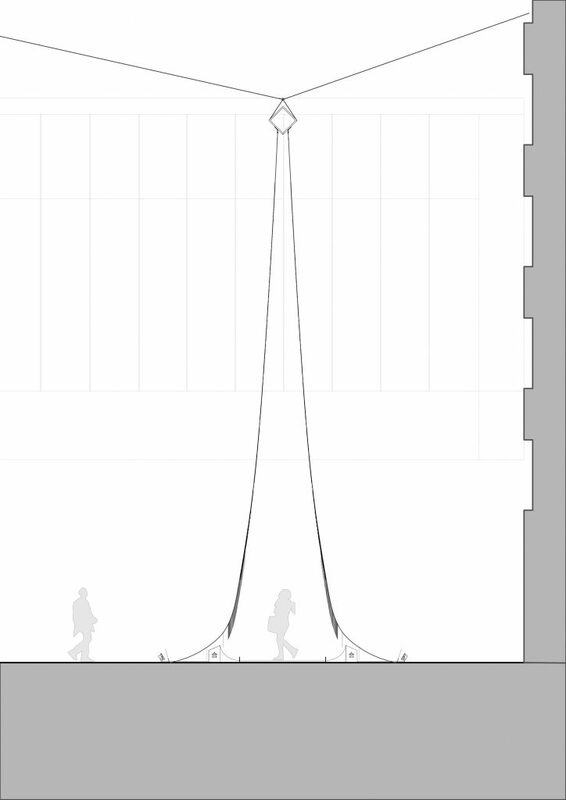 Hanging from a centralized truss, the piece takes advantage of the large vertical space and creates a dramatic sculpture which floats in the void of the cathedral-like space, as a gateway to the exhibition. 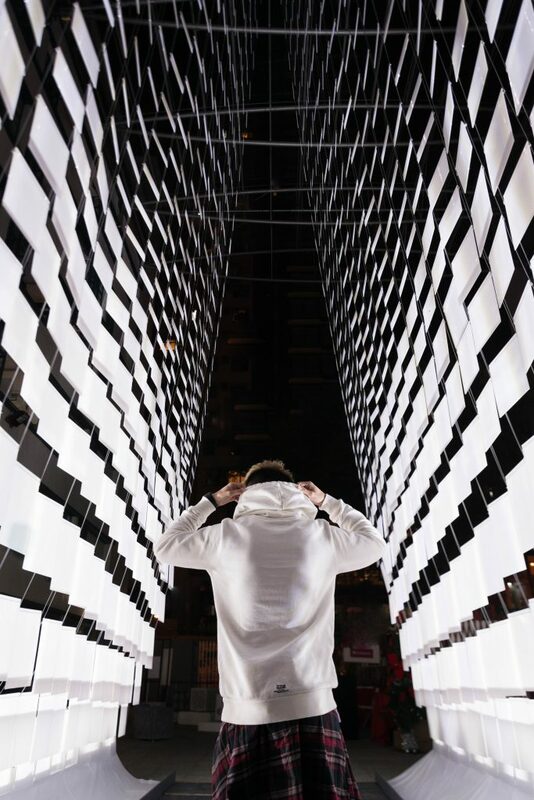 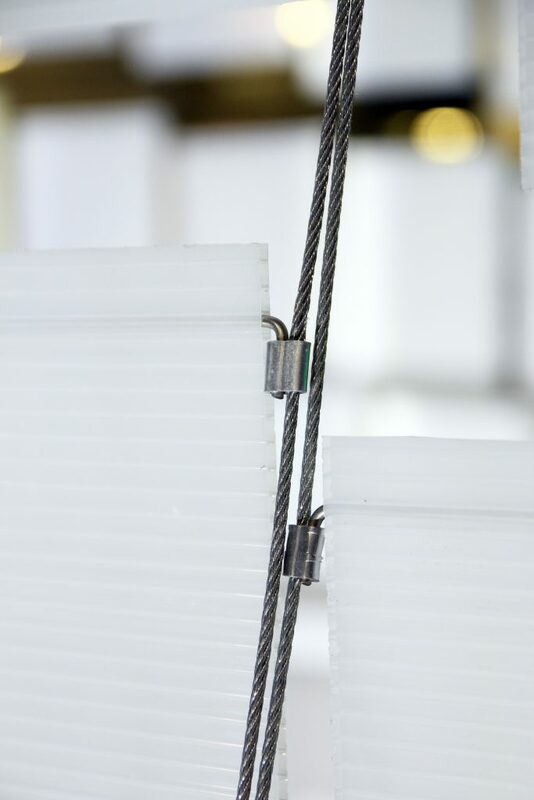 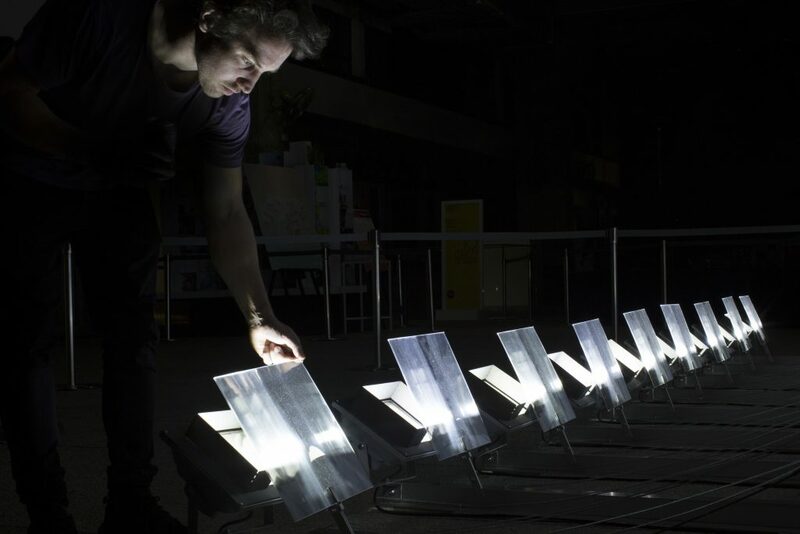 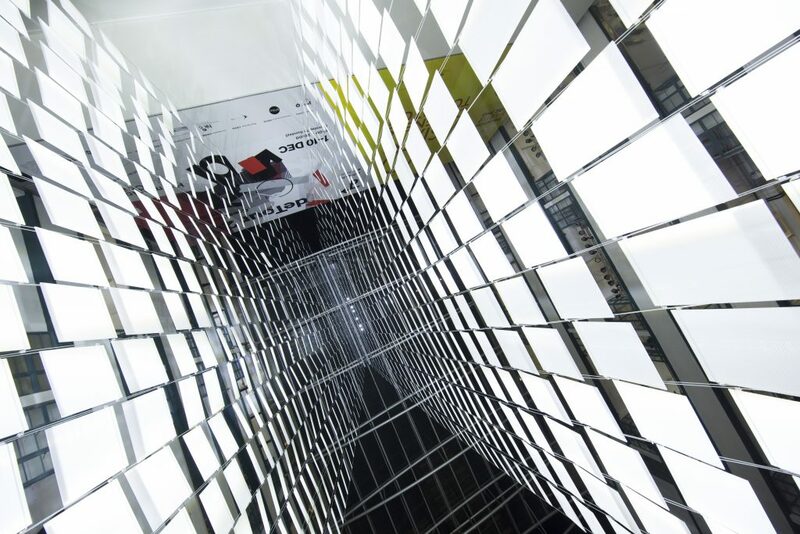 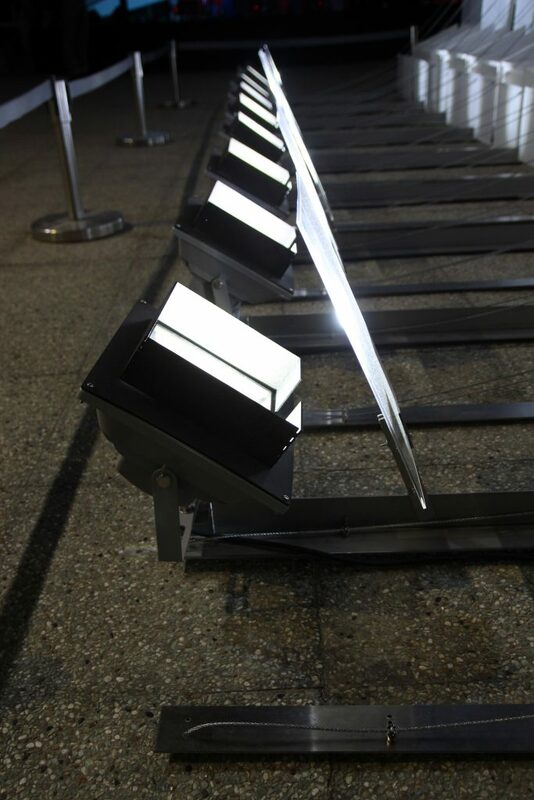 The interactive sculpture was controlled by its occupants via 18 floor-mounted pressure sensors which in turn switched off a light corresponding to the position of the occupant. 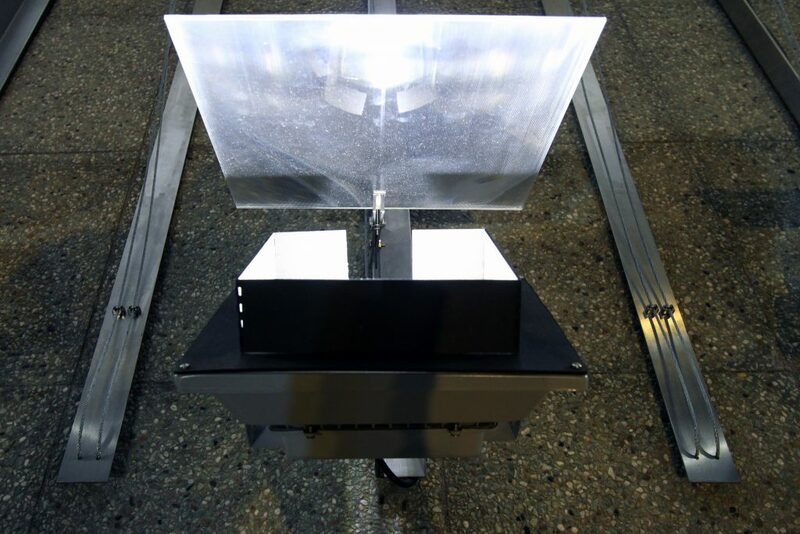 The input was regulated through an Arduino which was programmed to repeat previous inputs, creating a ghost effect.